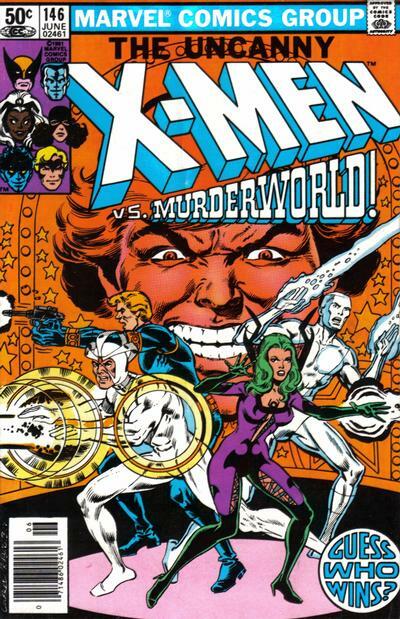 The reserve X-Men storm Murderworld. 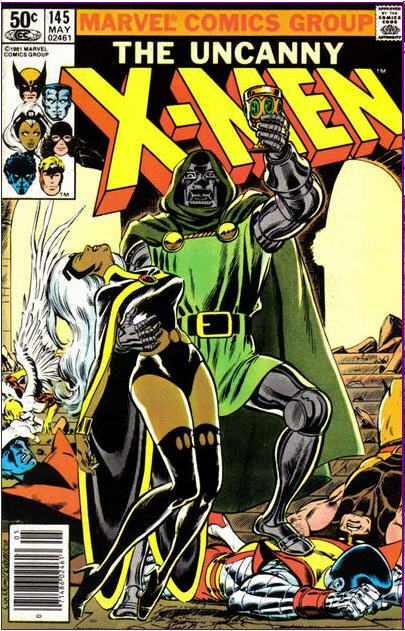 Dr. Doom watches as a storm surges around his castle, then shows Arcade the various specially designed cells he's placed the captured X-Men in, hoping to gain knowledge about their strengths, weaknesses and strategies. The villains are served drinks by a robotic replica of Storm, while Doom reveals the real Storm has been encased in organic chrome. 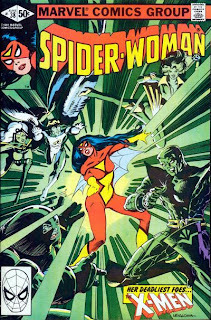 She is unable to move and unconscious, but her subconscious is reacting to her claustrophobia by manifesting an ever-growing storm, the effects of which are felt on the East Indian island where Cyclops and Lee Forrester are stranded. As the storm knocks free his blindfold, Cyclops optic blast is revealed. 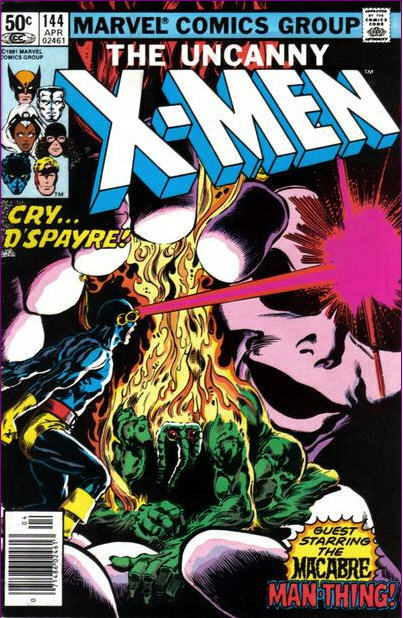 Lee replaces the blindfold, and Cyclops promises her an explanation. Still playing catch-up. I did watch last week's 30 Rock and Parks and Rec (the Batman pastiche where Jack was mugged and the one where Louis C.K's Dave returned to Pawnee), but haven't had a chance to write about them, so feel free to sound off in the comments (and I'll get to Glee eventually, I swear). 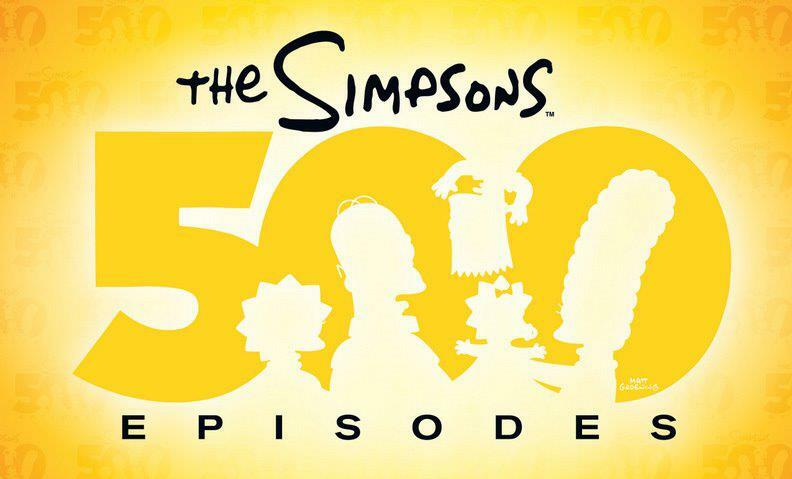 500 episodes is one heck of a milestone, but at the same time, how can this show celebrate it? It's not like the writers can try to make it extra good; for all the talk of declining quality, I have no doubt the various writers, directors, cast, etc. of each episode believe they are always turning out the best possible product. 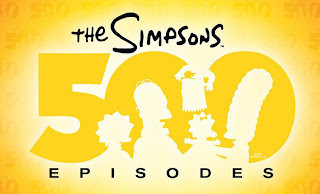 And for a show like The Simpsons, which rarely allows for long term changes in the characters or the status quo of the series, it's not like the 500th episode can feature some radical new direction or the introduction of a significant new character. And so we're left mainly with a brilliant couch gag that celebrates the history preceding it, and an episode that, like every before it, does the best it can. Stevie Hunter and Storm, sitting in for an ill Kitty, attend the ballet at Lincoln Center when Arcade's assistant, Miss Locke, enters their box, drugging both women. As they pass out, she explains that Dr. Doom has captured Arcade, so Miss Locke has kidnapped the X-Men's friends and family, including Moira MacTaggert, Amanda Sefton, Candy Southern, Illyana Rasputin and Jean Grey's parents, and is holding them hostage in Murderworld. If the X-Men don't free Arcade, their loved ones will die. When Storm awakens, Stevie is gone, taken by Locke, and Storm scouts the city, quickly confirming Miss Locke's claims. 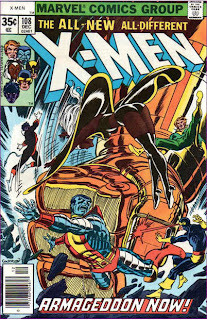 At the mansion, Storm informs the other X-Men of the situation and announces she has a plan. Professor X telepathically contacts former X-Men Havok, Polaris, Iceman and Banshee and asks them to return to the mansion. Well, I'm still slogging through my ranking of television series. The bad news? More series that are fair to midland. The good news? We're dangerously close to television shows I'd actually recommend! 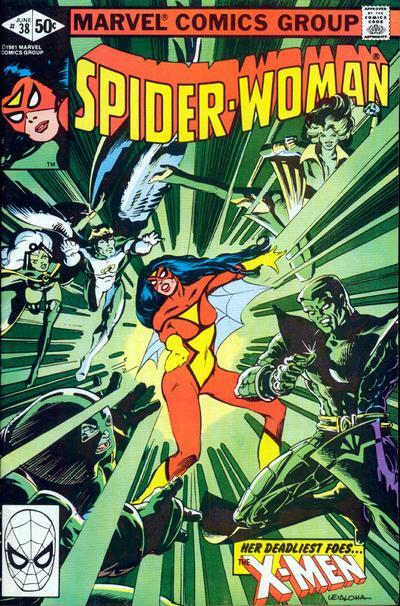 (And maybe series you've heard of.) Actually, I'm fairly confident there's a couple series here people have heard of. As always, if you're unfamiliar with these posts, check out the introduction here. 35. The Tomorrow People: A bunch of kids are the next stage in human evolution...or maybe they're aliens? I kind of forget. But they have telepathic powers and can teleport. So that's cool. It's lazy day here at GoL (well, lazier than usual): first, I wanted to do some kind of Presidents Day post, but couldn't come up with a good hook. So instead, I'll direct you this older Presidents Day post I did back in 2009 in which I compared America's Founding Fathers to the Avengers. 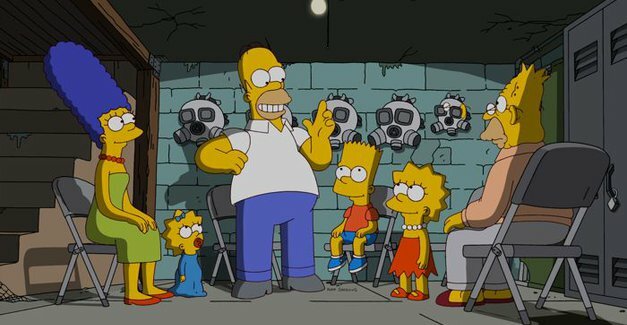 Second, last night marked the airing of the 500th episode of The Simpsons, a remarkable achievement for any TV show, especially in this day and age (I'll share my thoughts on the episode itself in Friday's "Last Week in TV" post). As someone who both loves The Simpsons and writes about it frequently, I feel like I should have done something significant to mark the occasion (perhaps even my long-gestating "favorite episodes" post). But, frankly, the whole thing kind of snuck up on me. So the favorite episodes post will have to wait for another milestone (perhaps even the end of the show; you have no idea how daunting that post is), but in the meantime, to half-assedly mark the occasion, as I'm sure Homer would appreciate, I turn it over to you, the readers: what's your favorite episode (or episodes) of The Simpsons? The week got away from me fast, with Mrs. Teebore watching the Grammys on Sunday, a couple nights away from the TV and the arrival of a new puppy. I know, excuses, excuses. Here's what I did find time to watch. A solid episode, which tweaks the Beauty and the Beast story and uses Rumpelstiltskin as the Beast and Emilie de Ravin from Lost as Belle. References to the Disney version of the story, from Belle's dresses to Gaston and even Chip the insufferable teacup kid, abound, but the real charm of the story comes from watching Rumpelstiltskin grapple with his growing feelings for Belle and his desire for power. Per usual, the events in Storybrooke are overshadowed by FTL, though this episode did present a more-unhinged than usual Mr. Gold as he attempted to retrieve the memento of his time with Belle. Which led to one of the show's biggest reveals: like Regina, Mr. Gold remembers FTL. This, in turn, led to an episode-ending cliffhanger that Belle, believed dead by both Rumpelstiltskin and Mr. Gold, is actually alive in Storybrooke, albeit imprisoned in some kind of secret asylum below the hospital run by Regina. That Belle was still around was mildly shocking, only because I assumed her presumed death was a way to not need Emilie de Ravin to come back to reprise the role, but ultimately, Regina's secret prison will probably turn out to be the bigger surprise. Bart crushes on the new girl next door while Homer sues a seafood restaurant for kicking him out of the "All You Can Eat" buffet before he's had all he could eat. After the Winfields move away, a single mother and her daughter move in next door to the Simpsons, and Bart is immediately smitten with the tomboyish Laura. This was clearly an episode meant to play with structure and tell a simply story in a structurally complex and interesting way. And in that regard, it succeeded. I'm a sucker for these kinds of episodes, and HIMYM has a history of doing them, and doing them well. The only problem is that this episode wasn't very funny. It elicited a few laughs, but I'm an easy mark. For the most part, any reactions I had to the episode were to the reveals created to the unique structure ("oh, that's why Ted was so eager to fight Martin Short", "that's why Lily stomped the Gouda") instead of to any of the jokes. 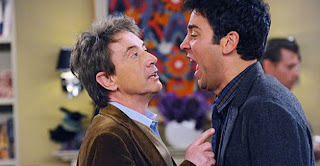 And while HIMYM has certainly had episodes intentionally light on the laughs before, in most of those cases the laughs were replaced with significant character development; here, we didn't get much of that aside from Lily's realization about being a parent, and even that seemed less important that the structural wackiness. Like I said, I like these kinds of episodes that manipulate the traditional time/space elements within a show, but it only works if that manipulation is done in service of big laughs, good character moments, or both. Here, it did neither, and we're left with nothing more than an episode with a unique structure. Busy week, and I'm already posting late. Let's get right to it! 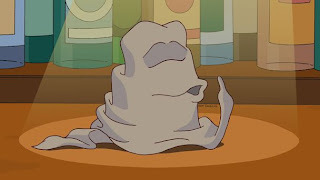 The idea of an episode built around Moe's sentient bar rag, voiced by Jeremy Irons, is the kind of thing that could be ridiculously fun or just awful. In the end, it turned out to be neither, which is pretty much the most disappointing outcome. The episode started out strong, as I'm enough of a history nerd to enjoy some of the historical jokes (like Medieval Homer fighting in Flanders), but lost focus as it became apparent that the bar rag's tale would have to jump huge swathes of time (I could have used less of the 1001 Nights segment) before ending up in Moe's hands in the most random way possible (he's the son of a Mt. Everest Yeti). Then, the episode suddenly shifted into Moe searching for the rag after it was stolen, and because the episode was almost over, it turned out to be Marge who stole it, and the whole thing could have been avoided if she'd just left a note. The episode ends with the Simpsons affirming their friendship for Moe, and it could have been a sweet moment, except for the fact he'll go back to being an unliked troll the next time the plot or a joke demands it. With a high concept like this, you hope for something clever and fear something awful. What we got was, unfortunately, neither. On the mansion grounds, a N'Garai demon crawls from the wreckage of the cairn destroyed by Storm months ago, and proceeds to devour a couple looking for a Christmas tree. 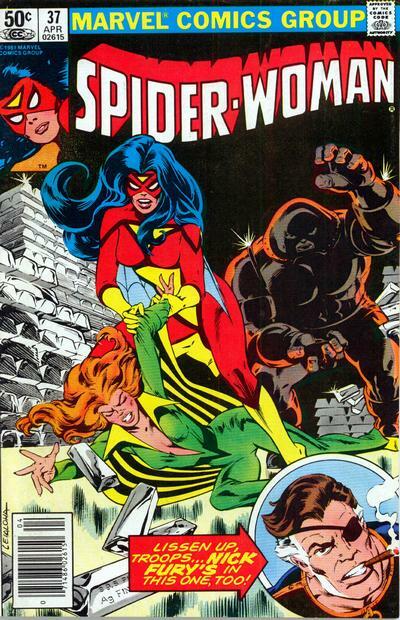 On Christmas Eve, Professor X finishes teaching Kitty the start-up sequence to the Blackbird. 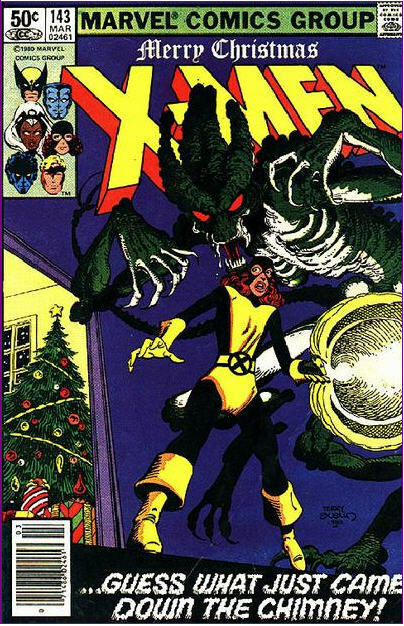 The X-Men prepare to go their separate ways for Christmas, with Wolverine going out with Mariko and Angel flying off to meet Candy Southern, while Colossus and Storm go into the city with Professor X, leaving Kitty home alone. In Florida, Cyclops calls the mansion to wish the X-Men Merry Christmas. He then meets Lee Forester, the captain of a fishing boat. At the mansion, Kitty runs through an exercise routine in the Danger Room until the intruder alert goes off. She heads up to Storm's attic to check it out and is confronted by the N'Garai demon.